But he could have spoken sooner, couldn't he? 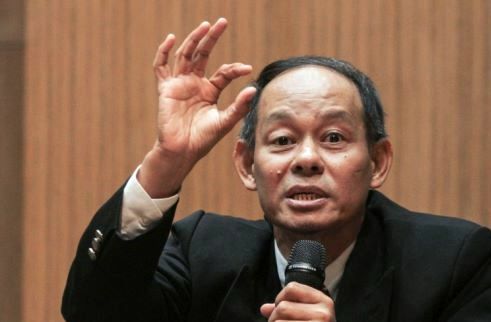 KL, Feb 9: So, the news that the anti-graft authority was going to arrest two Petronas execs over some alleged corrupt practices is NOT true. If Malaysian Anti-Corruption Commission boss Mohd Shukri Abdull had not come out yesterday to clear the air (MACC denies portal's claim on impending arrests of Petronas officials), we would not have been the wiser. Question is, why didn't Shukri come out with the clarification earlier? Why did he have to wait for the media to prod and after Petronas had made the police report against the news portal? The truth is, it's so easy these days to use the MACC's name in vain. I'm sure Shukri is aware of this. And I'm sure he'd agree that the onus is on the MACC to deter and discourage this blatant abuse. This is where his Comms Department may want to be more proactive. For example, if a newspaper or a blog claims that the MACC is investigating a person or a corporation for alleged corruption, the Comms Dept must come out immediately to confirm or deny the news. No need to wait for reporters to follow up. Because the longer they wait, the greater the damage. In the case of Petronas, it helped that the national oil corporation had decided to go to the police right away. That gave us the impression that it had nothing to hide. But if everyone has to go to the police each time something bad is written about them, the police won't have time for anything else. So, Tok Shukri, the next time someone invokes the name of your good organisation, please do everyone - especially yourself - a favour and come out immediately with a response. Jangan tunggu lama-lama. Managing public perception is as important as battling corruption itself.